Hospice Care Investigation Defense Lawyer - Oberheiden, P.C. Hospice care investigations are conducted by the local U.S. Attorney’s Office, the Federal Bureau of Investigation (FBI), the Office of Inspector General (OIG), and the Department of Health and Human Services (HHS). 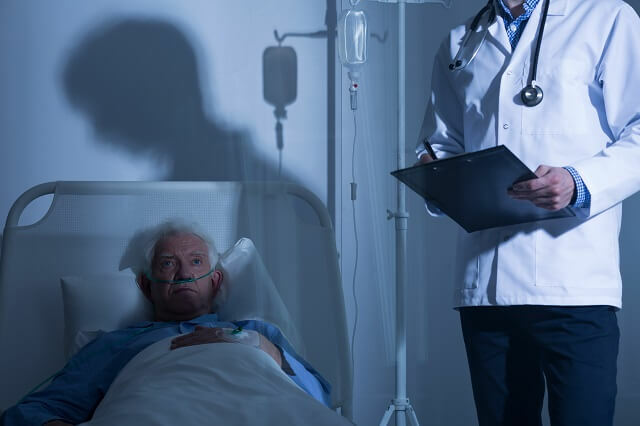 The government’s goal in a hospice care investigation is to recoup money from hospice care providers for alleged overpayments (civil remedy) or to charge individuals with healthcare fraud (criminal remedy). Defending against a government hospice care investigation requires enormous skillset. While the government had years to put its case together, you only have months, often only few weeks, to present an effective defense plan. The complexity of healthcare laws and the risk of criminal exposure don’t allow for delay or mistakes. You need attorneys (1) that are profoundly familiar with all nuances of Medicare fraud, Stark Law, Anti-Kickback violations, and the False Claims Act, (2) that have a long and distinct track record of dismissals in the specific area of healthcare fraud defense (3) that know how the insights of the government, know how the government builds its case, and know what to do about it. If you are under healthcare fraud investigation, you need more than just a healthcare lawyer or a criminal defense attorney. In fact, you need lawyers that combine healthcare law and criminal defense experience and, on top, offer government insights. Many so-called “healthcare lawyers” are regulatory advisers that are excellent for planning and monitoring a healthcare business. Few, however, have ever argued a case in a federal court or conducted tense negotiations with the FBI. On the other hand, criminal defense attorneys clearly have court room experience, but they lack the technical know-how of the intrinsic methodologies behind healthcare law, hospice regulations, billing, and corporate compliance. When you are under attack, you simply don’t have the time to explain your business and your industry to a professional whose learning skills will decide if you go prison or not. If you are under an actual, expected, or pending federal healthcare investigation, you need a lawyer that combines all features in one: (1) profound familiarity with healthcare laws; (2) a distinct and successful record of appearances before healthcare enforcement agencies such as the Office of Inspector General coupled with superior negotiation and trial skills—all evidenced in a proven track record of success stories in complex healthcare fraud cases; (3) lawyers that know how the government works and that can therefore instantly identify weaknesses in the government’s strategy. Department of Justice, headquarters, Washington D.C.
Department of Health and Human Services, headquarters, Washington D.C.
Office of Inspector General, headquarters, Washington D.C.
Centers for Medicare and Medicaid (CMS), headquarters, Washington D.C. Specifically, with respect to Medicare Fraud, Anti-Kickback, Stark Law, and False Claims Act investigations, we have represented business executives, owners, marketing groups, and physicians in audits and investigations across the United States, including, but not limited to New York, Florida, Texas, New Mexico, Washington D.C., Colorado, Oregon, Nevada, Oklahoma, North Carolina, Pennsylvania, Missouri, New Jersey. How many federal healthcare investigations have you handled so far? In how many of these investigations were you able to avoid criminal charges? In how many of these investigations were you able to avoid civil charges? What is your plan to avoid criminal charges in my case? What is your plan for me to get money frozen by the government back? How often have you handled cases involving the Office of Inspector General (OIG)? How many healthcare fraud trials have you handled? What is your distinct background in hospice care matters? The attorneys of Oberheiden, P.C. offer a long and distinct track record of successful outcomes in healthcare defense cases. Our attorneys are among the most respected healthcare fraud defense attorneys in the country and include former lead prosecutors, former senior leaders of the Medicare Fraud Strike Force, and savvy defense lawyer talents. Ask yourself: Who better can assess your case than former federal prosecutors that used to you get than from someone that used to be in charge of these investigations and that knows exactly what the government is looking for? Dr. Nick Oberheiden has successfully defended healthcare providers against kickback, false claims, and fraud allegations before the Office of Inspector General (OIG), Department of Justice (DOJ), Department of Defense (DOD), IRS, FBI, DEA, and other agencies. If you feel like you are being audited or investigated, you should speak with one of us immediately. We don’t use junior attorneys and all calls will be answered by one of the attorneys listed above. All calls are free and confidential. Call us during the week or on weekends. The attorneys of Oberheiden, P.C. have a combined experience of having handled hundreds of healthcare cases, as prosecutors and highly demanded defense attorneys. If you have questions about Hospice Fraud or want to discuss a plan to defend against the government, then call us today and speak with one of our senior attorneys directly at (800) 810-0259.